The best home gym equipment is a lifetime purchase, what I mean is that the best home gyms will last a lifetime so its worth taking the time to compare and choose the right one carefully. Because home gym kit tends to be heavy and take a while to set up, you want to know that you have bought the right one because returning it could be tricky. Health, fitness and exercise is more important than ever now that insurance has gotten more expensive and life-expectancy has increased. Help yourself live a long and healthy life by exercising regularly and keeping super fit. In a world that is very short of time, what better place for busy people to exercise than in their own home? Most people can find space in a spare-room, garage or basement for a top home gym. If you are really taking exercise seriously, then why not de-clutter your life completely? Throw out all your accumulated junk and create the space for one fo the best home gyms from our top 10 list. Use the comparison table to look at all the features that are important to you. Find the best home gym for you right here! The Marcy Diamond is the top of the range machine developed by Marcy. Their goal in making this piece of equipment was to leave no stone unturned and to create the most complete piece of kit for home gym training. Some home gyms focus on you being able to train large muscle groups only, but this high level machine also enables you to train smaller muscle groups. After all your only as strong as your weakest link. As well as being able to train extra muscle groups the adjustable bench of the MD-9010G allows to create different angles of incline to ensure a well rounded physique. The smith machine comes with a fixed bar allowing you to train safely without a spotter and there is space for a free bar if you prefer to train without being restricted by the machine. The cable of the Marcy Diamond Elite MD-9010G machine has both low and high pulleys that pivot, adding a huge number of extra exercise possibilities. This functional training centre is perfect for those whose goals are not just to achieve a sculptured physique but those who like to train to move better and strive for optimal movement performance. The combination of cables and bodyweight training helps feel more flexible whilst building leaner, fire muscles. An excellent space saving yet durable design allows users of all levels to be able to get a great all round workout on a machine that will fit easily into most garages or spare rooms. 20 different adjustment settings gives you the ability to customise a limitless amount of exercises to your comfort. In addition all of the attachments are ergonomically designed to work with your body. The dual pulley cable machines are so versatile you will be able to perform large exercises such as cable flyes, shoulder presses and pulls ups. As well as smaller exercises like glue kickbacks and core work. Bowflex are known for their creativity in home fitness equipment, their designs are space saving, money saving and also you to easily customise your workout experience. The Xtreme 2SE is no exception to this, it offers a compact and very customisable, all encompassing home gym. Its patented Power Rod technology provides a smoother experience on your joints than weight plates and also allows you to quickly change between each exercise, you can go from cable crossovers to seated ab crunches immediately with no rest. Keeping the intensity of your workout high. 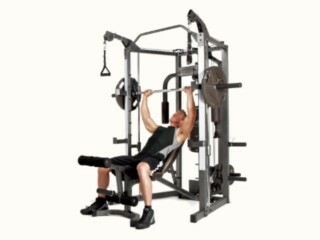 The resistance you add ranges from 5-210 lbs, so this machine is great for all levels of user. The seat is also adjustable, allowing you again to customise exercises to suit your preference and comfort. For such a compact machine it packs a huge amount of exercise options all in an easily maintained machine. The Galena Pro is a very versatile machine, which allows the user to strengthen every major muscle group in a short period of time. Its design gives it the ability to fit neatly into every corner, its single stack of weight plates allows the machine to be lighter and smaller whilst still giving you a large variety of exercise options. A generous lifetime warranty ensures this machine will last even with consistent high intensity workouts, they promise to repair or replace any defect making this an excellent investment. The option to easily add extras such as a leg press, weight add-ons and stack shrouds to limit noise helps you customise your experience so long term you don't get bored or grow out of the machine. A stand out feature is the patented dual function pec dec which uses a fixed bar and cable handles to help you hit different angles of the chest. The Revolution is the top of the range home gym from Bowflex. 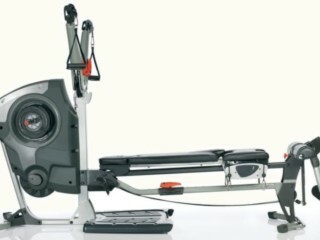 This machine is in keeping with the companies innovation and save saving quest, its totally unique and can provide a high performance workout. SpiraFlex resistance technology helps achieve an ultra smooth and constant motion, making it safer on your joints and allowing you to move more comfortably through a full range if movement. The model has a resistance from 10-210lbs with an added option to go up to 300lbs. The Freedom Arms provide a large range of exercises with 10 different settings that you can customise to your comfort, allowing you to push and pull from an angle thats suited to your particular biomechanics. Lower body workouts are also easily performed with a leg developer that includes a leg press, leg curls and leg extension options. There is also a comfortable 5 point foot harness to perform exercises anchored at the ankle such as adductor and abductor raises. A great value for money option that offers an excellent variety of exercises, its versatile cable machine allows you to train in high, mid and low ranges. 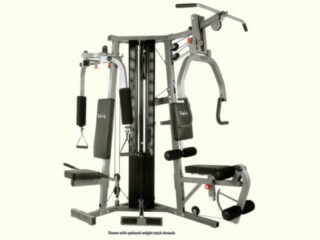 As well as an added leg press machine which is very hard to find as an extra at this price range. A good crossover machine if you enjoy a mix of functional training and more bodybuilding type workouts. The hand grips of the multi=press arms offer a variety of hand positions allowing you to hit the chest and shoulders at different angles which helps increase the size and strength of the muscle. Seats are padded and adjustable to two positions which are easily moved to your comfort. The P2X is designed to be versatile, durable and affordable, blending all of your equipment needs you would find in a commercial gym. You will be able to get creative with workouts by being able to blend different style or training and utilising the adjustable parts of the machine. If you like bodyweight training this machine is an absolute necessity. A basic design which gives an endless potential of exercise options. The versatility of this machine allows you to either have it freestanding or to fix the unit to a wall or doorway with a user capacity of 300lb. You can easily utilise accessories such as the TRX or swiss ball but the frame itself allows for a huge array of exercises such as dips, chin-ups, incline press ups and many more. Its stylish and subtle design makes this welcome in any home or studio, plus its very low tech making maintenance and durability very simple. purchase of this frame comes with access to a constantly updated SoloStrength database which includes an online database of exercises and complete workouts. Workouts on this database can range from 15-25 minutes for those wanting to save time, there are also options for beginners to advanced for those wanting to master bodyweight training. Weider has been a trusted name in fitness equipment for 50 years, integrating advanced strength features in each product. The Pro 8500 includes a durable weight cage which includes high and low swivel pulleys for upper body functional training, a fixed smith machine bar for safety when training alone and space for a free bar if you prefer to train without the assistance of the machine. The comfortable adjustable bench includes a 6-part foam leg developer and preacher curl position packaged in a space saving design. Its butterfly arms allow you to use chest fly positions giving an extra dimension to your training. Weight plates are not included but it does have storage pins for safety and tidiness. Weider is a respected name in strength training and its design is aimed at people who really want to build some muscle and get strong, it also looks great and is fairly compact considering the training options. A more affordable option than the Marcy Diamond but its tough to see why. The Combo is a very popular alternative for those who don't need every extra feature available. A perfect example of a total home gym, its not a space saving design but instead a solid 14-gauge steel structure for excellent stability under weight bearing. The fixed bar along with the option of a free bar is essential in my opinion when looking at home strength training equipment. I’d recommend purchasing an extra olympic bar and plates for a complete home training centre. The cable system allows for extra upper body work and delivers an independent smooth motion, if you utilise the adjustable bench you will be able create a limitless amount of angles and exercises to develop your physique. This machine will also allow you to master pull ups with the addition of a chin up bar. Resistance training is the most efficient form of training for fat loss and muscle gain. A well scheduled weight training program can make long bouts of cardiovascular exercise obsolete, not only do you gain strength and flexibility but workouts are extremely time efficient. With just three thirty minute workouts a week you will see faster and better results than ever before. There are so many benefits to resistance training it would be tough to list them all, but the majority of people still choose cardiovascular machines over weights. Home gyms offer you the chance to master new exercises without being disturbed at the gym, the ability to be able to perform any scheduled exercise exactly when you want to, without someone else hogging that machine is hugely overrated. A quality home gym will be able to deliver all of the main lifts such as squats, pulls ups, deadlifts, bench press, dips and shoulder press, as well as accessory exercises such as bicep curls, tricep extensions and ab crunches. A simple yet stringent design makes the EXM2500s an excellent investment. Made from heavy duty steel, high strength grade cables and reinforced pulleys, its no wonder why this machines warranty includes the tag line ‘ Lifetime Warranty On Everything… Forever’. The weight plates are made up of 10 lb increments going all the way up to 210 lbs, making this a versatile machine for beginners or seasoned heavy weight lifters. Thick DuraFirm pads gives comfortable lumbar support allowing users with lower back pain to perform safely throughout each lift. This machine will keep performing during the most vigorous and demanding workouts, helping muscle growth and definition. Its design is based on biomechanics and ergonomics, the lifts feel smooth and promote performance whilst offers huge variety in exercises. For a machine that is under $1500 you'll struggle to find something that competes for all round value for money, durability and performance. If your goal is to build muscle, machines must be able to cater for heavy weight. Top home gyms have squat racks, leg developers, butterfly arms and even leg presses. If your goal is to get strong, opt for a machine that has a free bar and weight plate storage pins. You will need these free weights as well as the fixed machine option. If your goal is to move or perform better look for options that have adjustable cable systems and bodyweight sections. Some machines offer a range of adjustment abilities and attachments. If space is an issue follow the guide carefully you will find a option that has all your favourite exercises in a compact machine. All of our picks are high quality machines with warranties, just make sure the amount what you want to be able to lift fits the machines purpose. What Home Gym Features Do You Need? Once you have decided on your goal and what type of training you enjoy we can help you further in choosing the right machine by breaking down some of its features. In both categories we advise to not spend any less than $700, cheap machines often rattle and wobble, as well as break and run out of usable weight very quickly. Strength Training machines should have a solid frame and a large base, the best options have the ability to hold a separate olympic bar with storage pins for weight plates. This is because if your training properly you will want a large range of extra weights to keep on improving. A great home gym should also give you the ability to train the whole body as well as smaller muscle groups, leg developers and cable machines generally come as standard. For Functional Training an adjustable swivel cable pulley system is preferred, the more adjustments and cable attachments the better. You want to be able to hit and stretch muscles in as many different positions as possible. These machines should allow to you to master bodyweight training, they should either cater for pull ups, leg raise and incline press ups or take the weight of you and an added TRX band. Do You Need Space Saving Home Gym? Strength Training home gyms are generally large and bulky, if your serious about training you’ll know this isn't a bad thing as you need it to with stand a lot of pressure for smooth and safe lifting. Some companies such as Bowflex excel in innovative designs offering equipment that has a smaller floor plan but still has the ability to hold 300lbs of weight and not wobble. The functional training options are a lot easier to manage in small spaces, some fit into door ways or anchor onto walls. They look tidy and are not over imposing, check all the dimensions carefully before purchasing we've outline the measurements below to help. Slightly less comprehensive than treadmills and ellipticals, mainly because the company doesn't know how heavy you will be lifting and how often. Options that say strength training and durability in the Good For section will generally be a great investment long term for heavy lifters, some have lifetime warranties on parts but use them properly, give them a splash of oil now and then and you should be fine for a lifetime of regular use. Functional Training options may not be able to last repetitive heavy use as thats not what they are designed for, most of the options below will give you a guide on which exercises to use which will make sure it lasts you long term. Either way your going to save a bundle of money of gym memberships. Our reviews are totally authentic because our editor Luke, is a leading authority in health and fitness. Known for his credibility and myth busting in an industry filled with money making schemes, fads and conflicting information. With over a decade of experience Luke writes courses for Personal Trainers on how to use certain fitness equipment and also helps design home gyms for Royalty in the Middle East. 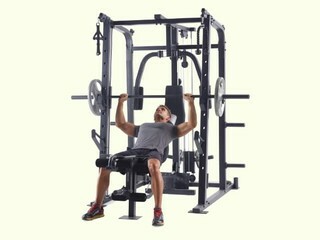 A Smith Cage (or Smith Machine) is an ideal workout apparatus as it can be used to exercise virtually all body muscles. Simply put, it is a barbell on a track within a squat rack. Weight lifting is usually more effective than using conventional free barbells or dumbbells, mostly because with the Smith machine you do not have to struggle for balance. One work out that can really help you build arm muscle or simply tone your arms is the biceps curl. To execute this workout, you need to stand behind the bar, and take an underhand grip. The width of the grip should be equal to your shoulder- width. With your elbows against your sides, and your shoulders down and back, try bringing the bar towards your chest. To achieve this you will have to bend your arms at the elbows. Move the bar as high as you can, and when you have reached your end point, pause a little, lower the bar and start again. Repeat this ten to twelve more times. Another Smith machine workout that can really help improve your arm muscles is the triceps dip. As the name suggests, it targets the triceps, and it can be executed really fast. You need to set the bar at the height of your hips. Then put your hands on the bar on either side of your hips. Next, you need to straighten your arms and legs, and to bend your elbows. Then lower your body, but remember to keep your shoulders down and your chest high. When your elbows have bent up to right angles, extend the arms and then go back to the beginning. Repeat this about ten times too. The Smith machine can prove to of invaluable help in helping to shape and tone your legs while at the same time building the strength of your leg muscles. One very important Smith machine workout that can greatly help you do this is the legendary front squat. To execute it you need to be inside the machine, with the bar across your front. Ensure that your feet are slightly in front of you. To do this correctly, you also need to make sure that your knees are unlocked and that your toes are pointing outwards slightly. Cross your arms, rotate the barbell and then unhook it. Make sure that the weight of the barbell is one that you can handle in order to lower the risk of injury. Keep your eyes focused ahead, and your abs and chest tight. Then move your knees and hips in a manner that imitates sitting on a chair. Go as far as you possibly can, although the ideal position is to have your thighs nearly parallel to the floor. Repeat this as many times as you possibly can, and watch your legs get into shape and their muscles strengthened in no time. Alternatively, you can choose to do the leg press workout which is aimed at training the quadriceps. To achieve this, you need to place the bar a little off the floor, but keep it hooked to the track the track. Load the bar with the correct weight. Keep in mind that if you overload it, you might be doing yourself more harm than good. Lie beneath the bar, and place your feet at its center. Move your knees towards your neck, while simultaneously pushing the bar upward with your feet by extending your knees and hips. Make sure not to lock your knees, which is a mistake that many people make when carrying out this workout. Relax a bit when you reach the top, and then repeat the whole workout severally. The chest is unfortunately one of the body parts that get forgotten most of the time during a workout routine. This does not have to be the case when you are using a Smith machine, as there a number of great work outs that you can execute aimed at strengthening your chest muscles. One such workout is the close grip bench press. Place a flat bench on the inside of the Smith machine, and lay back on it with your feet firmly on the floor. Using an overhand grip, hold the barbell inside your shoulder width. Move the bar up a little in order to unhook it from the track, and then hold it above your chest. To achieve this, you will have to extend your arms a bit. Then lower the bar with you elbows close to your sides. When the bar is very near your body, pause for a while and then move it back to the starting position. A common mistake that people make when carrying out this exercise is bringing their arms too close together. There is an overwhelming temptation to do so, but in the long run, you will strain your arms and end up hurting yourself. Keep a good distance between your arms, and you will have an easy time doing this. Another chest workout that is really helpful is the reverse grip bench press. As the name suggests, it is more or less like doing the opposite of the close grip bench press. Here, you will still need to lie on your back on a flat bench, but unlike with the close grip work out, you now need to grip the bar with as wide a reverse grip as you possibly can. Again, rotate the bar and unhook it, then hold it above your chest, with your arms extended. Then you will have to lower the bar close to your body, but don’t allow it to make contact with your body. Then press the bar upwards as far as your arm can go. Repeat this as many times as you wish. It is a great Smith machine workout for the chest. 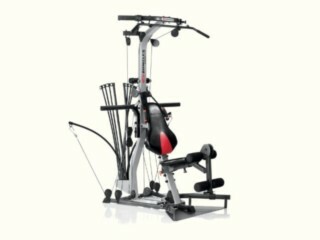 If you are looking for the best home gym equipment, then look no further than mygymexpert.com!